jOpenDocument provides an API to get and set properties of your ODF documents. You can specify metadata values (creator, description, subject, date...) and user defined metadata. As you can see in the sample code , we provide getters and setters for standard properties. User definied properties are created by the getUserMeta method if you specify the second parameter to true. 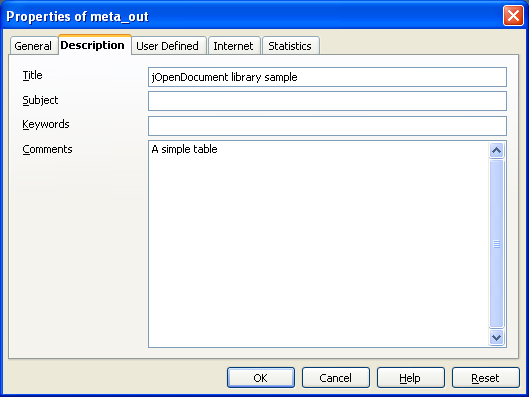 The data type of a metadata is set automatically or can be specified if you need.